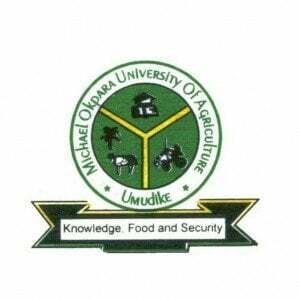 Michael Okpara University of Agriculture, Umudike (MOUAU) 2018/2019 academic session pre-degree admission list has been released. See how to check MOUAU pre-degree admission list below. The management of the Michael Okpara University of Agriculture, Continuing Education Centre (CEC), Umudike, has released the list of candidates offered provisional admission into its pre-degree programme for the 2018/2019 academic session. How to Check MOUAU Pre-Degree Admission List. Go to MOUAU pre-degree admission status checking portal https://mouauportal.edu.ng/cec-pd/. Finally, click on the search button to access your MOUAU pre-degree admission status.